SHENZHEN, China/HONG KONG (Reuters) - Chinese telecoms giant ZTE Corp announced a new board on Friday in a radical management shakeup as part of a $1.4 billion deal with the United States, moving it closer towards getting a devastating American supplier ban lifted. 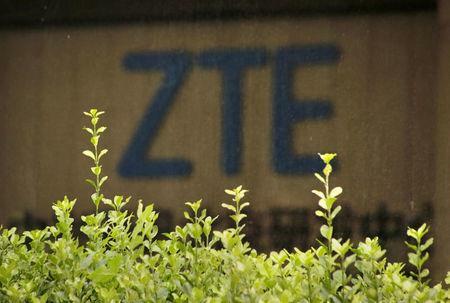 The United States slapped the crippling seven-year supplier ban on ZTE, China's No. 2 telecommunications equipment maker, in April after it broke an agreement to discipline executives who conspired to evade U.S. sanctions on Iran and North Korea. The management overhaul was among the conditions laid out in the settlement deal to have the ban lifted. Li Zixue was elected as the company's new chairman, ZTE said in exchange filings late on Friday after its annual general meeting. Of the eight new board members, Li and Gu Junying were elected as executive directors, while non-executive directors include Li Buqing, Zhu Weimin and Fang Rong. The rest were independent non-executive directors, including Cai Manli, Yuming Bao and Gordon Ng. The old board and senior management, headed by Chairman Yin Yimin, have tendered their resignation on June 29, it added. During the annual general meeting, shareholders also vetoed the company's proposal of profit distribution of paying 1.38 billion yuan ($208.66 million) worth of dividends. The company, which ceased major operations after the ban, has also agreed to pay a $1 billion penalty and put $400 million in an escrow account as part of the deal to resume business with U.S. suppliers - who provide almost a third of the components used in its equipment. But the U.S. Department of Commerce has still not worked out the details necessary for lifting the ban, with the deal facing strong opposition from some U.S. lawmakers. The uncertainty over the ban amid intensifying U.S.-China trade tensions has hammered ZTE shares, which have cratered 60 percent since trading resumed earlier this month following a two-month hiatus, wiping out more than $11 billion of the company's market valuation. Some investors and analysts have questioned whether a brand new board and management team can settle in quickly enough and lead the company out of the woods. "I am most interested to see how well the new board will manage the company, as well as their technical expertise in telecoms. I don't know how experienced they are in both these respects," said a ZTE employee, who declined to be named due to the sensitivity of the issue. ZTE's new chairman, 54-year-old Li, was the Communist Party secretary at a unit of China Aerospace Science and Technology Corporation - the largest state-owned shareholder of ZTE's parent Zhongxingxin, his biography shows. Cai Manli and Yuming Bao were also elected to the board. They were all nominated by Zhongxingxin, a state-owned entity which has a 30.34 percent stake in ZTE. Apart from replacing its board, as part of its June 7 agreement with the United States, ZTE must also fire all leadership members at or above the senior vice president level, along with any executives or officers tied to the wrongdoing, and hire a U.S.-appointed compliance monitor within 30 days. ZTE said in filings that shareholders approved board to apply for 30 billion yuan ($4.54 billion) credit line from Bank of China, as well as $6.0 billion credit line from China Development Bank.